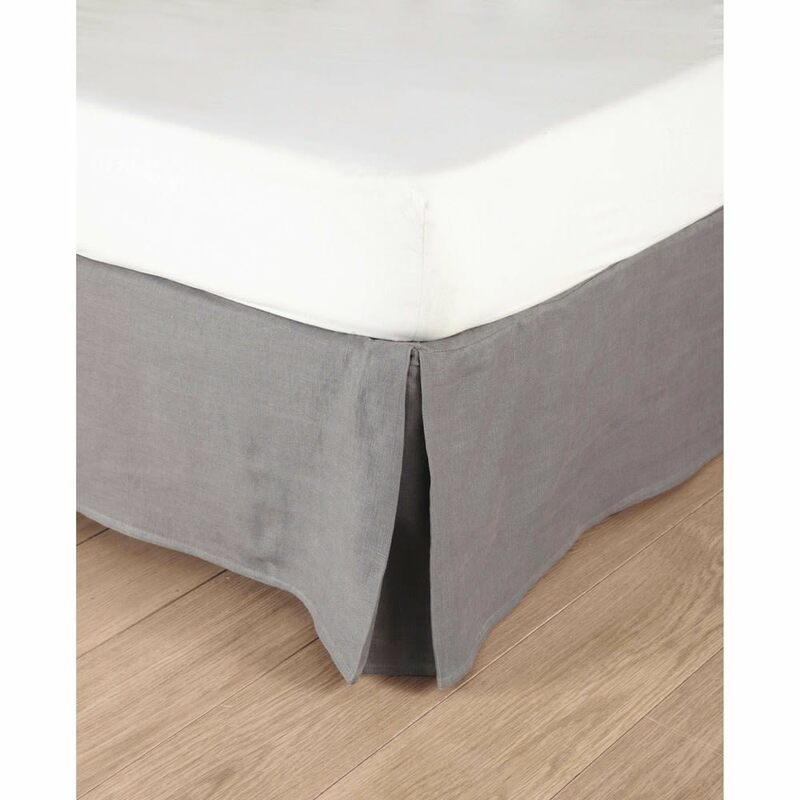 Tuck me in quick – change the style of your bedroom with this washed linen 160 x 200 bed skirt in grey. This handy pure linen valance fits in seconds to cover all the sides of your bed. Design detail: the box pleats on the corners of this valance provide an impeccable finish. Our tip: round off your bedroom décor by picking curtains to match your valance, such as the washed linen curtains in red.